Skarhult Foundation is a non-profit organisation that was started in the summer of 2012 by Alexandra von Schwerin. The purpose of this organisation is to ensure that Skarhult’s history is kept alive for the next generations to experience as well as for a wider audience. The exhibition Power in Disguise is the organisations first exhibition. Skarhult is one of Sweden’s best-preserved castles from the renaissance era. Each hall, every window, and detail, has its own history to tell. However, the walls are incapable of speech. Instead, Skarhult documents histories, photographs, paintings, and other historical artefacts. There is superficiality in the arts subjects. Without history, humankind looses its identity. A better future requires knowledge about the past. 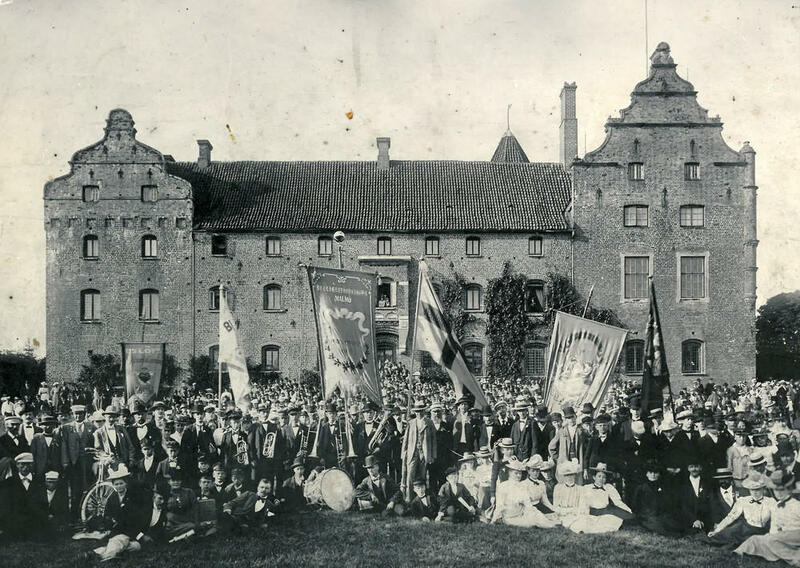 The Swedish Temperance Movement’s association “Blå Band” at a summer excursion to Skarhult in July 1901. Skarhult is a rich chest of treasures for understanding our past. Here, families from the elite side of society have lived and operated since the 14th century; rich farmers, Danish cabinet ministers with powerful wives, commanders over the Swedish troops when Scania became Swedish, immensely rich widows, frivolous counts and barons, King Karl XIV Johan, hundreds of girls which would be educated to become capable wives, and many more.